We believe it’s important to provide opportunities for all of us to grow in our faith, no matter where we might be on that journey. We also believe it’s important to offer opportunities that will foster connections and community building. To that end, we offer small groups 3 times a year: once in the fall, then in the winter and again in the spring during Lent. Spring groups will start the week of March 10. We’ll be walking through the book The Good and Beautiful Life by James Bryan Smith. Copies of the book are available for $5. We encourage you to get together with a group of friends, co-workers, neighbors or family and journey through this book together. Resources will be provided on this page. If you don’t want to create your own group, we have a couple of options for you. We’ll be holding an online group on Wednesdays at 8:30pm. If you would like to meet in person, but aren’t sure who to connect with, we can help with that too. Choose the “Connect me to a group” option. For either of those options, use the sign-up link below. For any other questions, contact teresa@thebranchonline.org. 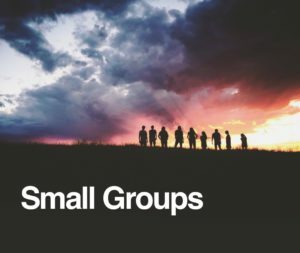 Sign up for a group here.